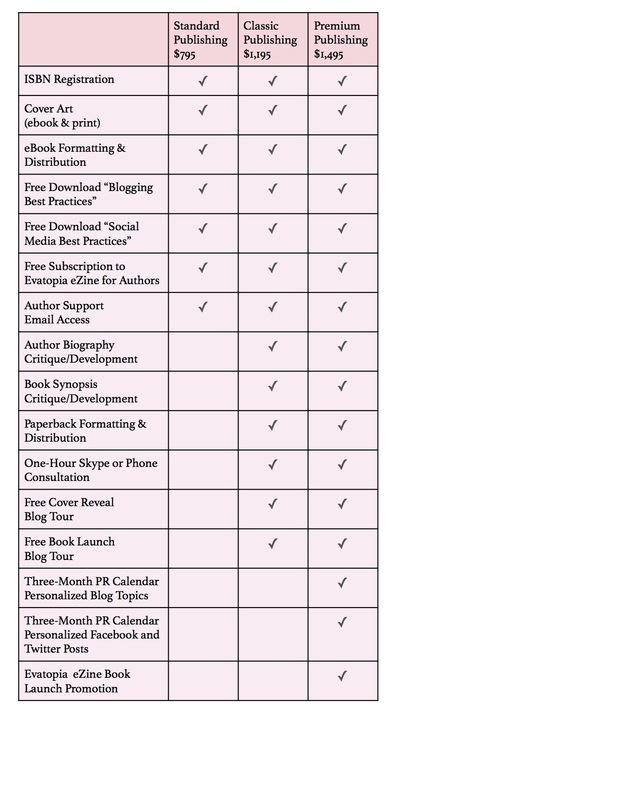 Evatopia publishing gives authors the control they want with dedicated support. There are tons of self-publishing options on the marketplace today, but without fear of sounding arrogant, ours is better. It’s affordable. You get to know a real person. You have support whenever you need it. If you have a question, an idea, or just need to run something past a knowledgeable source, you’ll have our phone number and email. Quite simply, we’re your partner in publishing, but you keep all of your sales. Please email info(at)evatopia.com for a la carte quotes on any single item above. Proofreading for typographical and grammatical errors: price based on word count at .05/word. Editing to improve pacing, plot, characterization, dialogue and word choice: price based on word count at .05/word. Please email info(at)evatopia.com for inquiries and a free sample edit. Ebook and Print Formatting is done on a per word rate. 50-100K words is $125; over 100K words is $145. Got a question? We’ve got answers. Information is power. If you are interested in a one-hour lesson to get you up to speed on the self-publishing world, we’re here to help. Consults can take place over phone or Skype for $75/hour.